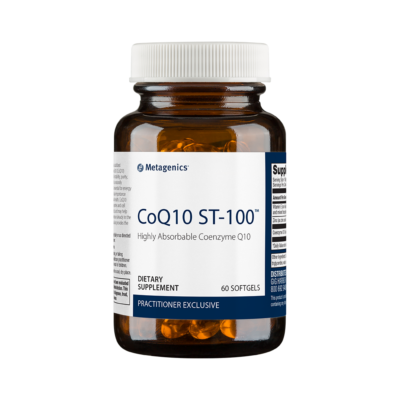 Vitamin C (ascorbic acid) provides nutritional support for many physiological functions, including, vascular integrity, connective tissue regeneration and maintenance, and support for the immune system. It is a potent antioxidant and free radical scavenger. Vitamin C (ascorbic acid) provides nutritional support for many physiological functions, including, vascular integrity, connective tissue regeneration and maintenance, and support for the immune system. It is a potent antioxidant and free radical scavenger. It supports the body’s defense system by enhancing white blood cell function and activity, and increasing interferon levels, antibody responses, and secretion of thymic hormones. It is essential for the formation and maintenance of intercellular ground substance and collagen. Vitamin C aids in the absorption of iron and the formation of red blood cells and helps convert folic acid to its active form, folinic acid. 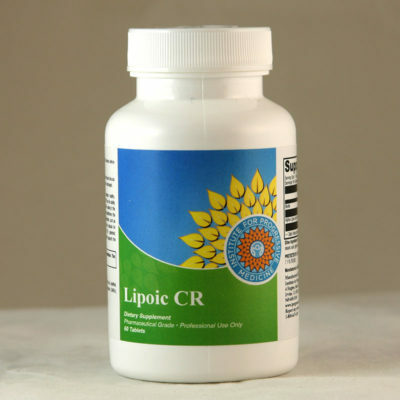 Vitamin C maintains healthy histamine release and supports lymphocyte formation. Vitamin C is also required for the synthesis of carnitine and steroids. Many studies have shown the benefits of oral and IV administration of this vital nutrient. 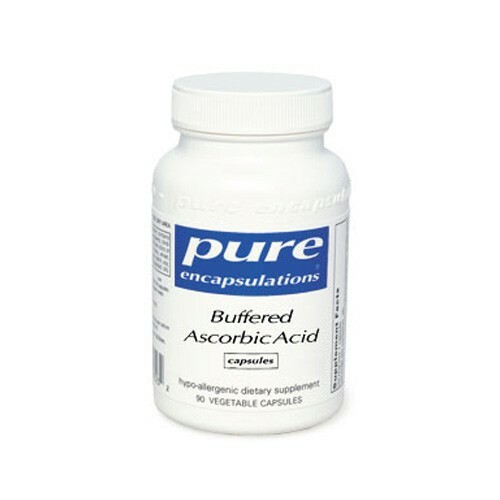 Buffered ascorbic acid combines calcium ascorbate, magnesium ascorbate, and potassium ascorbate to create a neutral pH vitamin C. This special form of ascorbic acid lessens possible gastric irritation in sensitive individuals and makes it easy to reach high doses when desired. 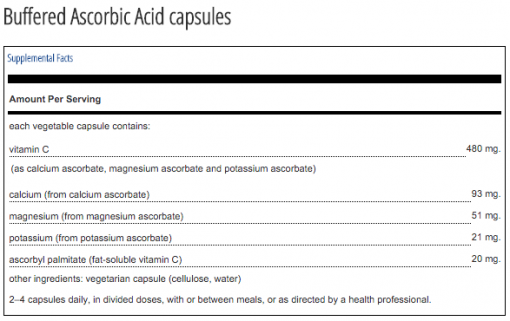 Usual dose is 2-8 capsules per day, or as directed by your physician.